While ten years ago, when someone mentioned networking for you, you might have been thinking about network marketing and endless meetings, the development of social media has changed the game, and helped millions of small and medium sized business owners make the most out of their connections and create meaningful relationships. 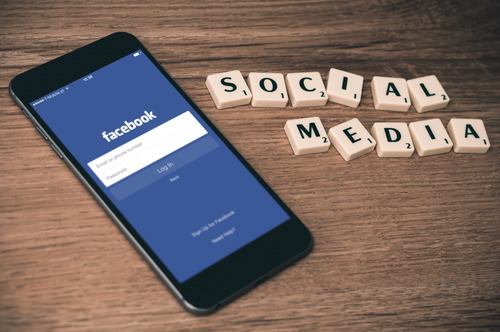 If you would like to connect with like-minded business owners and potential customers, social media can save you time and money. Find out how below. You no longer need to pay for market research to find the customers and potential business partners. You can join social media groups where your target audience is active. There are several online local and regional networking groups in every industry, so you will be able to get people to find out more about what you have to offer, without having to do the hard-sell. Decades ago, if you wanted to keep up with the developments and trends in the industry, you had to attend different conferences and regional meetings. Today, it is enough if you join some networking groups on Facebook, follow the right people, and you can gain an insight into any industry. You don’t have to pay a company to create a survey in your industry; you can do it yourself. Branding and creating brand awareness should be an important part of your marketing mix. You need to make sure that your target market knows that you exist and you offer the services and products they need. With social media, you can send out targeted messages or sponsor your posts, so you can connect with your target audience. Instead of paying for an article in the local paper, you will simply have to share useful information. You now have more channels to connect with customers, and social media pages are popular among those who want to find the right product or service on the go. You can create surveys, collect feedback and ratings, and even set up competitions online, so you can impress your target market without having to pay a huge amount for a marketing agency. While it is important that you accommodate the needs of your target market and especially your mobile device users by implementing a responsive small business website, you don’t need to customise your social media accounts to different devices. They will appear in the right format on mobile phones, tablets, and netbooks. This way, those who are on the go all the time can ask questions any time, taking your networking to the next level. Whether you are offering coaching and business advice, or are selling natural makeup, you can take advantage of online networking on social media. Create engaging branding messages, provide customers and potential partners with free information and different channels to connect with you. Make the most out of the power of LinkedIn, Twitter, Instagram, and Facebook business pages, to build and strengthen your personal and professional brand. Are Your LinkedIn Company Page Status Updates Up to Snuff?